Before this summer’s World Cup kicked off, Jesse Lingard was probably the member of England’s starting XI surrounded by the most question marks. Yes, the attacking midfielder had just come to the end of a breakthrough season with Manchester United, but his overall quality remained much debated and it felt as if the Three Lions midfielder had earned his place as much through being a long-term favourite of Gareth Southgate from their U21 days as significantly outperforming his engine room rivals. But the dual role Southgate has created for his number 8s in England’s midfield, which oblige them to drive forward from the middle of the park to almost become No.10s floating around Harry Kane and Raheem Sterling, is quickly proving perfect for a player who has never quite convinced as an out-and-out central midfielder or shown enough end product to be a supporting striker. The roaming 8 capacity seems to get Lingard doing what he does best by playing to his key strengths, not least including the work-rate and mobility to be part of both the midfield and the attack. Against Tunisia, Lingard showed how important he could be for this England team with a busy performance that was unfortunate not to end in at least one goal after clipping the foot of the post. 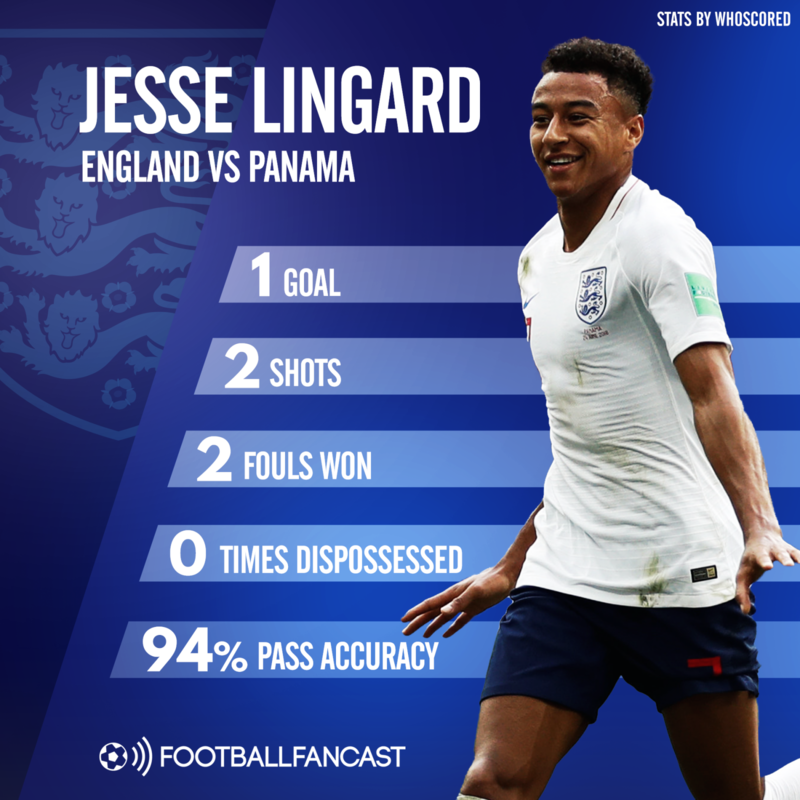 But during the 6-1 demolition of Panama on Sunday, the qualities he brings to the most dynamic elements in England’s 3-1-4-2 truly stood out; after earning the first penalty that Harry Kane commandingly converted by driving into the area, Lingard powered on from midfield, combined with Sterling on the edge of the box and ripped a curling strike beyond Panama’s helpless ‘keeper to net one of the strikes of the tournament so far. And in many ways, Lingard’s impressive early displays for England highlight why there’s so much optimism surrounding this young and promising side. Whereas previous squads have always felt like a collection of poorly assembled individuals, Southgate has created a team around putting the right players in the right roles even if they don’t quite play the same way at club level. Lingard’s been a key benefactor of that approach, and England are beginning to reap the rewards. For Southgate, meanwhile, he’s probably one of the first names on the team-sheet right now.